They say April showers bring May flowers and by the looks of all the rain in the forecast this week (and the snow melt from all those nor'easters we had in March), we should have tons of colorful blooms next month! We hope you all survived the storms without too much wind or ice damage. The weather has been really unpredictable, hasn't it? But we must admit that cold winter days are perfect for reading a book or watching a movie (if the power doesn't go out). In fact, can we say that April showers bring May books? We love that Harlequin's book forecast is always accurate! They promise new stories every month and they deliver! Congrats to all the April authors and their Heartwarming releases! April is also showering us with tons of work, so we're keeping this post short and sweet. I have book 5 in my 'From Kenya, With Love' series, The Twin Test, releasing in May and it's available on Netgalley for reviewers. If you're part of Harlequin's reader's club, you may already have it and I hope you enjoy it! AND if you missed the Hallmark Channel movie March 17, The Sweetest Heart, based on Catherine's Harlequin Heartwarming book Heart's Desire ('Shores of Indian Lake' series), you can still catch it! They often show reruns of movies on Hallmark and the next showings of The Sweetest Heart are Saturday, April 7th at 3pm EST and Sunday, April 22nd at 9am ESt. Check out the Hallmark Channel website for more air times! The book is also back in print with a special, new cover with the new title and movie mention! Now a Hallmark Channel Original Movie! At seventeen, Maddie adored Nate Barzonni with her whole heart and soul. But when he asked her to elope, she said no—she couldn’t let him throw away his dream of becoming a doctor. Then he vanished from her life for eleven years. Now the cardiac surgeon has returned to Indian Lake asking for a second chance, and Maddie has to choose between her new life…and the man she never stopped loving. May April shower you with happiness (and books ;)! 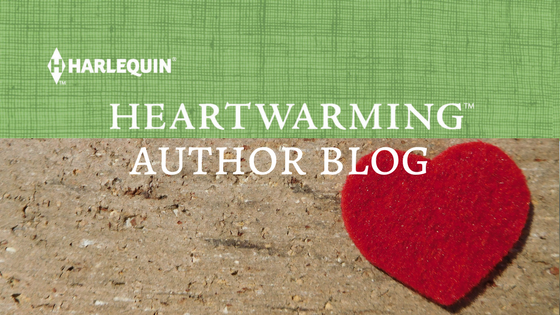 The Harlequin Heartwarming authors will keep 'em coming! Those first spring flowers are sprouting - a bit nervously, cause it’s still cold here - alomg with my excitement at the hope of spring, but the prospect of a new Serengeti novel (and seeing Pippa find happiness) and (fingers crossed!) perhaps finally getting to see The Sweetest Heart, warms me even more. Happy Spring, Rula and Catherine, and continued success! Hi, Janice! I'm with you. I adore Rula's stories. This one looks to be her best yet. And I think when I watch The Sweetest Heart again, I'll have a roaring fire in the fireplace. Snow starts tonight and we are below freezing for a week!!! Aw thank you both :). You'll love The Sweetest Heart!!! So happy for you both. I watched The Sweetest Heart, marveling at the book come to life on screen. So cool. Also, as a mother of twins, I love the idea of the new book. Congrats again to you both. Oh, thank you, T.R.! I'm so happy to know you watched the movie. We heard from Hallmark last Wednesday that they were thrilled, their word, with the nearly 2 million viewers the first night. And it was on St. Patrick's Day when I figured the world would be drinking green beer in Irish pubs! If you mentioned you had twins before, I forgot! Too cool! Hope you get a few chuckles from the story :). And Catherine that's an awesome turnout! Maybe green beer, cupcakes and a movie is a thing lol ;). I'm thinking, why not????? Right? Thanks, Leigh! I loved the movie too! Great post, coming from someone in the snow zone this morning. I'm happy to read about the viewer numbers for The Sweetest Heart! That's wonderful. Love the twin story, too--once again, Heartwarming covers are the best! And what was really cool was that Chicago had the highest numbers of any city. And that's the city the dyes the Chicago River green. Stay warm, Virginia! I've been loving the Heartwarming covers they're coming up with for the entire line! Loved the movie, Catherine. I watch far too much of Hallmark on weekends. And Rula, I'm so looking forward to your next book. It hasn't arrived in my subscription yet. I have grand-twins who started college last year. Watching them grow and mature to individual young women has been wonderful. Roz, bless you for watching. Frankly, I love, love the Hallmark movies on the weekend. It used to be I could go to the theater and see fun Romances or Romantic Comedies. But alas, they aren't on the big Silver Screen anymore. I'm so done with winter. I think this might be one of those springs that by the time the snow melts from the flower garden, the daffodils will be eight inches high and ready to bloom! Congrats on yet another super story, Rula! Keep warm, Catherine! It's so true. I feel like I've accomplished something major in life to LIVE through March. When April finally gets here, I want FLOWERS! And our stores don't have a thing to look at yet. It can be so depressing. Sigh. I loved the the movie Catherine! I recorded it and have watched it several times. And Rula, your book sounds amazing! Naughty twins AND a spectacular setting! Love it! Thanks, LeAnne! I am so pleased with the cast and those cupcakes! So beautiful. 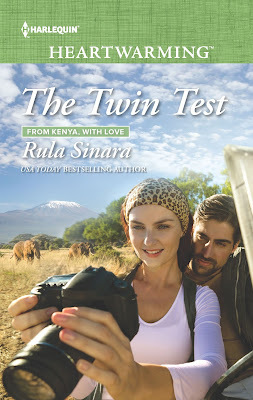 I, too, love Rula's Africa settings and with naughty twins, what a story! This winter has seemed to drag on, or rather swoop in and out, for much of the country. Good thing we have wonderful books and movies to warm our hearts. I've loved all the excitement around the movie coming out, and the cupcake setting was perfect. Rula, I'm so glad Pippa will get her happy ending. So glad winter seems to be over here in the South! Love your cover. Lucky, you, Patricia! I loved being in Texas and Louisiana in the spring. The winter was short and oh, so easy to deal with. But this on again off again thing....not that last June wasn't cold and dreary, because it was! Heartwarming books are needed more than ever if you ask me. Winter is still in the dragging-on phase Beth mentioned. Today it's rain. I would be a liar if I said it doesn't bother me, but I'm convinced spring really will come. I always enjoy you ladies' posts!